25/50mm double wall construction, galvanized steel panels. 3. 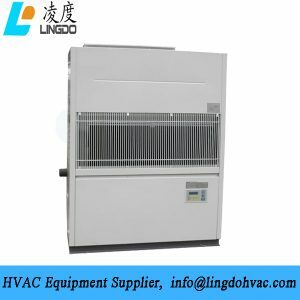 Power supply: 380V/3PH/50Hz, 440V/3PH/60Hz, 460v/3ph/60Hz, 220v/3ph/60Hz, . 5. 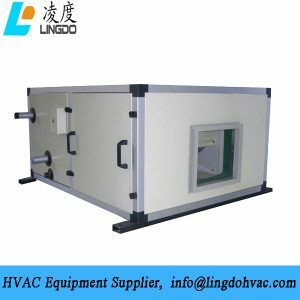 Ceiling mounted, floor mounted duct type or ductless type. 2. 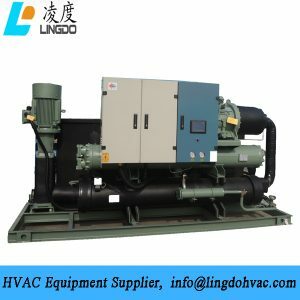 Panasonic/Hitachi/Copeland compressors, individual circuit for each compressor. 4. 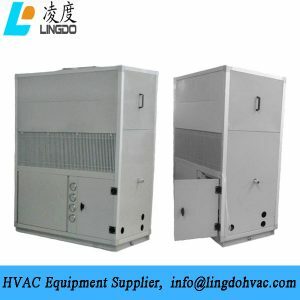 Power supply: 380V/3PH/50Hz, 440V/3PH/60Hz, 460v/3ph/60Hz, 220v/3ph/60Hz, . 6. 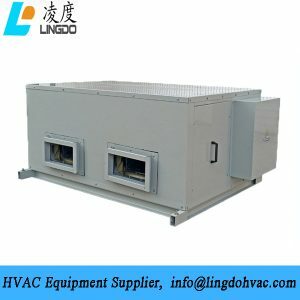 Ceiling mounted, floor mounted duct type or ductless type. 1. 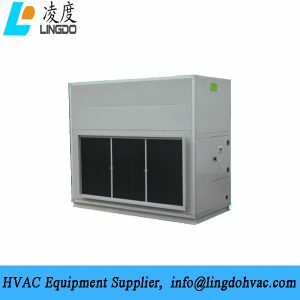 Heat and energy heat recovery, saving energy for building consumption. 4. 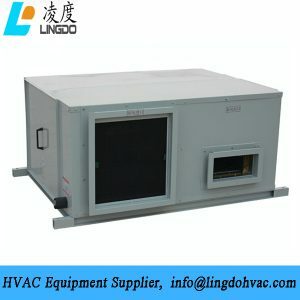 Good quality heat exchange device, high efficiency and long lifespan. 5. Easy for maintainance and operation, low cost. 6. 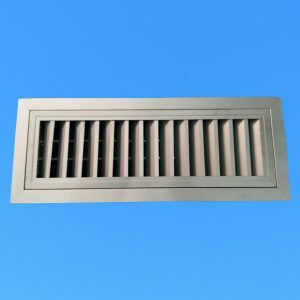 Air volume: 1000 m3/h ~10000 m3/h. 1. 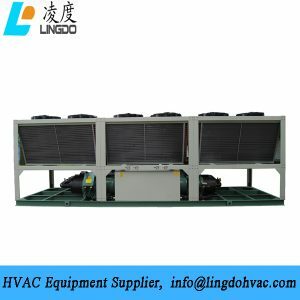 Wide Cooling capacity Range: 9.9kw~238kw. 5. 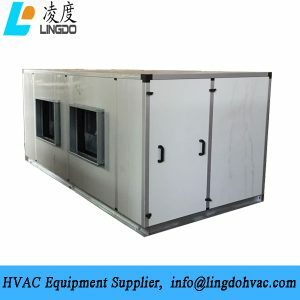 Floor mounted duct type, floor mounted ductless type, ceiling mounted type available. 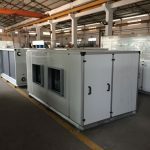 50mm, 100mm thick sandwich panel, applied for clean room and cold room. Precoated galvanized steel, stainless steel sheet for optional. 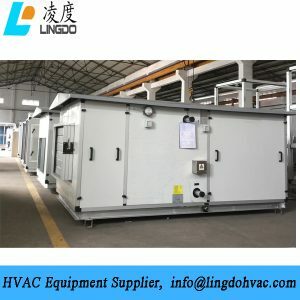 Panel Connection, Inner joints, external joints, U channel, etc. 3. Power supply: 380V/3PH/50Hz,other power supply also available. 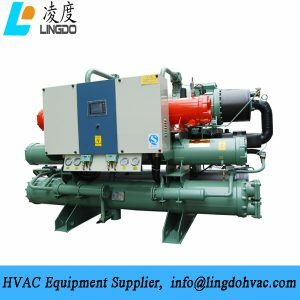 It adopts flooded type screw compressor which is stable, low noise and long operating life. 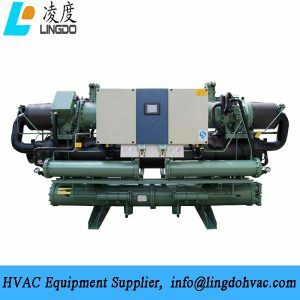 Self R&D for high-efficiency flooded type shell and tube heat exchanger, compact structure and high heat exchanging efficiency. Well-known brand electronic expansion valve is adopted. 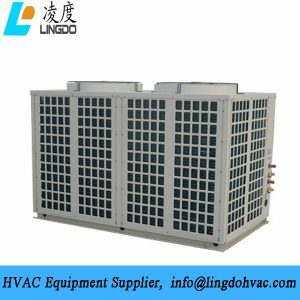 Evaporator refrigerant injection and oil return technology is applied. 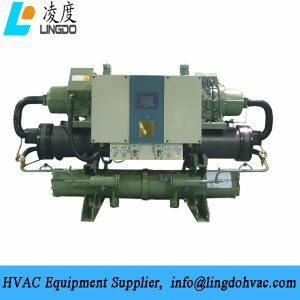 It adopts impact and interception oil separation technology, high efficiency oil separator. 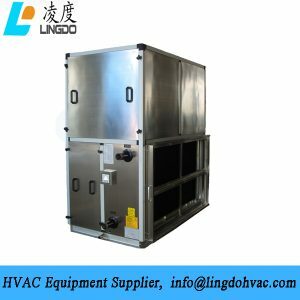 Option choice of self R&D Heat Recovery Unit patent to supply free living hot water. 1. 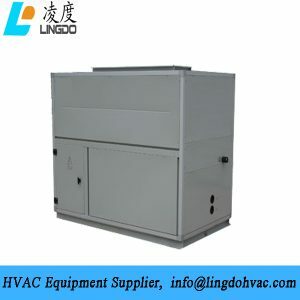 Cooling capacity: 9.9kw~238kw, wide range, suitable for Facilities & Factories. 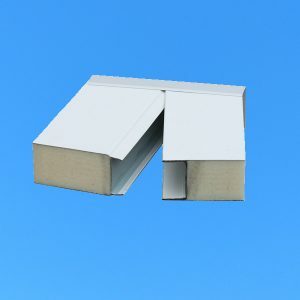 Double wall panels: 25mm and 50mm thickness PU foam insulation. High strength aluminum frame, painted galvanized steel sheet and stainless steel sheet available. 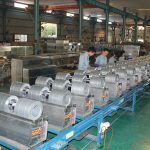 DIDW Centrifugal fan, backward or forward type, plug fan is also available. Exterior installation, with canopy and fresh air hood. 3. 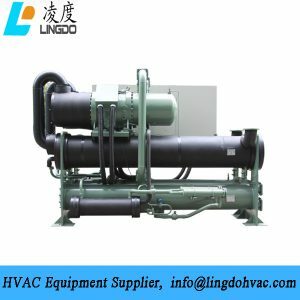 Ultra low noise axial condensing fan. 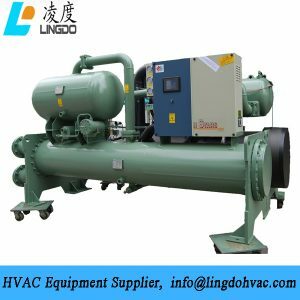 4.Famous Brand Scroll Type Compressor, Daikin, Panasonic, etc. 25mm Double wall construction, pre painted galvanized steel panels ensure structural integrity under all operating conditions. 25mm/50mm Double wall construction, pre painted galvanized steel panels ensure structural integrity under all operating conditions. 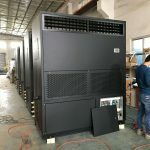 System unit electrical components and controller are centralized in a single central control cabinet. So, it lessen control boxes and systems are more reliable. 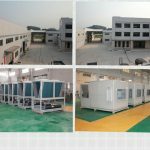 Packaged construction, less occupied space, flexible placement. 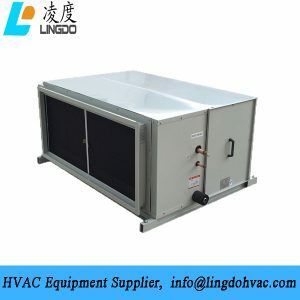 Highest COP up to 6.0 Optional heat recovery unit, H’Stars’s patent product Recoverable heat is 30-80% of the rated cooling capacity, supplying free hot water up to 70℃. 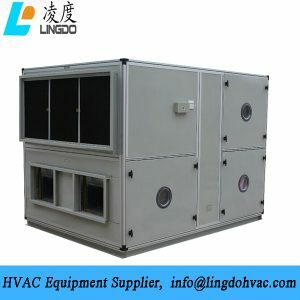 COP is increased by 5% with heat recovery option. 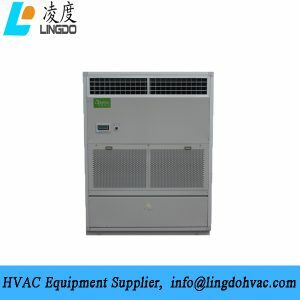 1.Ceiling or horizontal mounted split type air conditioner, saving installation place. 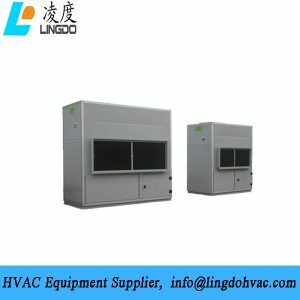 2.A wide range of cooling capacity: 13~78kw, in total have 11 models. 3. 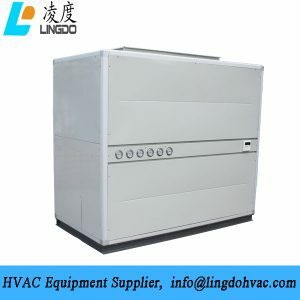 Hermetic scroll compressor,Sanyo/Panasonic, Daikin, etc. 4. 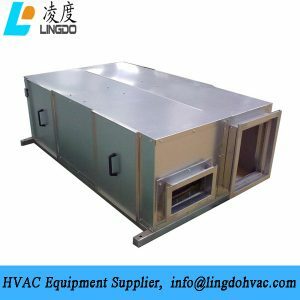 Centrifugal supply fan,low noise for indoor installation. Copper tubes with blue aluminum fins air cooled condensers. Free hot water supplying system. 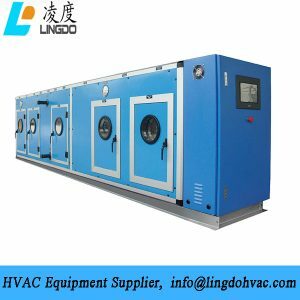 Lingdo Industrial Limited began its HVAC business since 2013, based in Foshan, China. 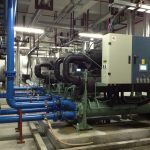 We specialize in supplying Heating, Ventilation, Air Conditioning and Refrigeration(HVACR) equipment and spare parts, offer cooling and heating solutions for a wide range of needs in industrial, commercial and marine applications across the world. 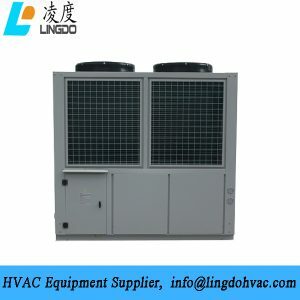 We represent and export various HVACR products from well established and most reputed brands in China. 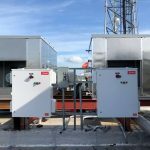 Air Conditioning is our core business and strength over the years. We not only sell present products, also keep looking for innovative products to deliver outstanding solutions to our clients and meet their special needs. Customized service is provided for each client. 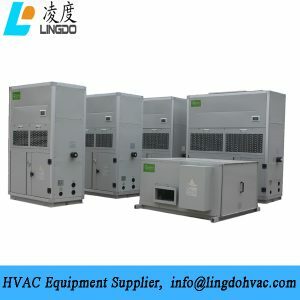 Our factories have been engaged in HVAC field for near 20 years and have rich experience in manufacturing HVAC equipment. 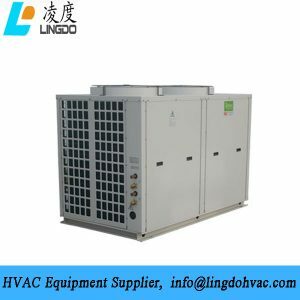 All factories have passed the certification of quality system ISO9001:2008 and environment system ISO14001:2004, gotten Production License for refrigeration and air conditioning equipment. CE Certificate, TUV Certificate, SGS Certificate are also available for some products. With advanced equipment and technology, we promise all products are tested and qualified before delivery.